Then it won’t blank anymore. Oh and you’ll want to somehow have those commands execute each time your window manager starts up. 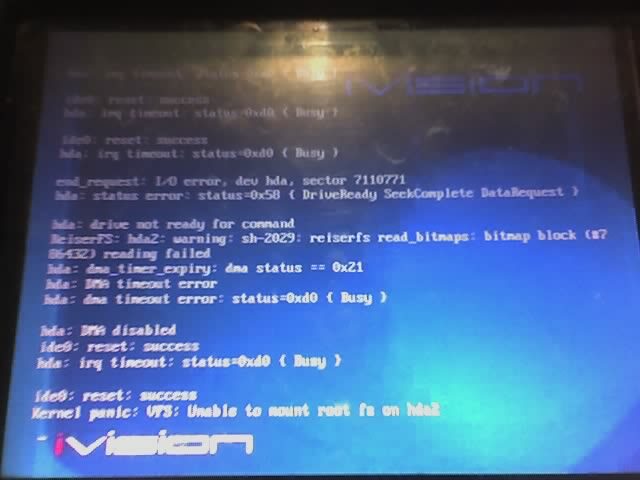 So I’ve had my mythtv box running nicely for quite a while now but one annoying thing I couldn’t figure out was how to stop the annoying screen blanking. 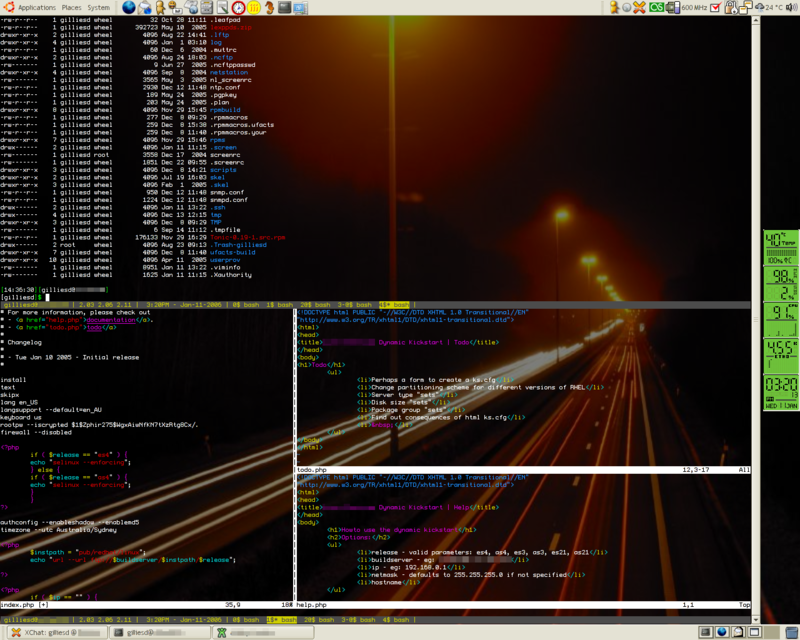 I’d set various dpms parameters in xorg.conf, turned off the screensaver. But it kept blanking. The most annoying part was that it hadn’t always happened. Anyhow, I finally found the one command to stop it; xset -dpms. So after umming and ahhing over getting an MP3 for absolutely ages, I took the plunge and bought one last week. I guess I took my time trying to find an MP3 player mainly because I don’t really get the oppurtunity to use one often (I drive to work) and also I had to be sure that it worked easily with Linux. I didn’t want to get stuck with some MP3 player (*cough* ipod) that only worked with special software (yeah, I know they work with Linux now, but I really didn’t want any fussing around at all). So quite a while ago, I identified that Samsung’s players were compatible with Linux. They basically just plug into a computer, it comes up as a USB flash disk and you just drag and drop the MP3 files (or OGG or WMA which this player supports) onto the disk. The model that I ended up with was the Samsung YP-U2X which has a 1Gb capacity. It should be enough to keep me going as I have more interest in listening to podcasts from Triple J and ABC Radio National more than storing stacks of music files on it. I guess what ended up being the catalyst for getting one was wanting to listen to something while I went for runs. Running was also the reason why I went for a flash player and not a hard disk based player. 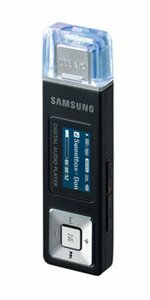 Another nice thing about this MP3 player also was that it has an FM tuner in it, which I didn’t even realise it had when I bought it. Bonus! All in all, its a really nice player and a good buy at AU$179. So in the picture above is a linux machine that has had a kernel panic. No big deal. Looks like there’s some problem mounting a filesystem on a hard drive or some sort of IDE device. The interesting part is that this is actually a hand dryer at the movies at George St Cinemas in Sydney. Its probably a 8.4″ LCD display, which I assuming usually runs ads on it. It was a tad chunky even by standard hand dryer standards though. Pretty funny to see it sitting there, all sad and crashed. Author davegPosted on 11th January 2006 11th January 2006 Categories linux1 Comment on Kernel Panic! Thought I’d dump out this post since it was sitting in saved state for so long. I’ll add some more info to it later. The Fujitsu FM Towns was one of those funky Japanese game systems from the late 80’s/early 90’s which I used to drool over in PC Mags like the NEC PC Engine. Unlike the PC Engine which atleast made it to the States and the UK, the Fujitsu FM Towns never seems to have made it outside of Japan. It was pretty ahead of its time, having alot the things that the MPC1 and MPC2 standards aspired to at the time, like a CD-ROM, game controllers, high color video card (which had a color palette of 16.7 million colours) and sound cards. This were all pretty awesome stuff to be having in a 386 at the time! Another interesting thing about it was the different variations on this machine. First up there was the FM Towns, then after that there was the updated FM Towns II. Somewhere along the line came the FM Towns Marty. Searching around I’ve also come across the FM Towns II UR, which appears to be the same as the FM Towns II EX and the FM Towns HR-20. These three models sport the updated 486. There also appears to be a FM Towns 20F, but it seems to be another name for the FM Towns II. Props to Bec’s brother Nico who has completed a thesis on the Samba community. This research is an exploratory study into the constitution of identity in the Samba community. The results presented are based upon an analysis of documents, websites, internet-relay-chat (IRC), mailing lists, private correspondence and face-to-face interviews. The primary method of data collection was the semi-structured interview method. Previously I documented how to get Java installed and running under Ubuntu Linux. That seemed to work OK for most Java applications, but the Mozilla plugins didn’t work. Apparently it had something to do with the gcc version that the packages were compiled with.